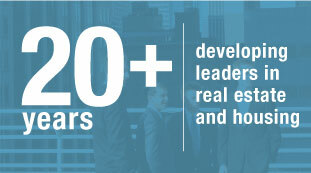 For more than 20 years, Lang's Real Estate and Housing major has helped produce some of Canada’s most successful leaders in residential and commercial real estate. As a student in this major, you will develop the analytical, conceptual and managerial skills needed to succeed in this high growth industry. The hands-on nature of the specialized courses will have you explore real estate topics such as property appraisal, property management, financing, market analysis, urban economics, planning and development. 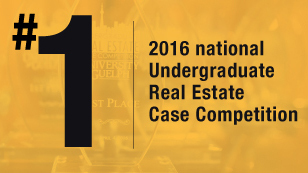 Furthermore, each fall, a team of six students is chosen to participate in the Cornell International Real Estate Case Competition in New York City. These students have the opportunity to meet students from other top real estate programs in the world. You will have plenty of opportunities to compete in case competitions, apply your knowledge in your co-op placement and network with industry professionals. Graduates of this major can also be exempt from many of the courses needed to complete the Accredited Appraiser Canadian Institute (AACI) designation, the Certified Property Manager (CPM) designation, as well as some other Ontario real estate licensing courses. Real Estate Development Project: To succeed in this capstone course, students use all ideas and concepts learned throughout their program to propose a development project that is financially feasible for multiple stakeholders (investors, tenants, government etc.). Some graduates even bring their final report to job interviews to showcase their applied experience. Property Management: Asset managers (such as REIT's and pension funds) want property managers who have good relationships with tenants while working on behalf of an owner. This course explores the "best practices" in a field which is becoming more professional. Service Learning in Housing: Residential property is special because a home defines many aspects of everyday life. This course helps students to understand that the value of property includes more than can be seen on an income statement. Life as a university student is about more than the lecture hall. At the University of Guelph, we want you to experience the student life we're known for, and that means joining clubs, staying active and discovering Guelph both as a place for top-notch education and a community you can be proud of. Learn more about the student life in our Real Estate and Housing major. Graduates of the real estate and housing major are employed by some of the top real estate companies across Canada and around the world. Learn more about our strong connections to the real estate industry. 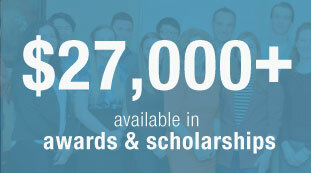 Many business leaders have graduated from Lang's Bachelor of Commerce program. Meet some of our Real Estate and Housing alumni.